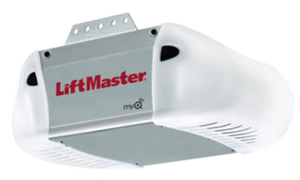 Each Liftmaster belt drive garage door opener come with remote control(s), an inside wall unit, safety sensors, a one piece solid rail, and MyQ® technology. Call 281-252-3346 to schedule on of our garage door technicians to remove your existing opener, if needed, at no additional charge, then install your new opener. Quiet garage door opener with a powerful ½-HP belt drive motor offers years of reliable, maintenance-free service. 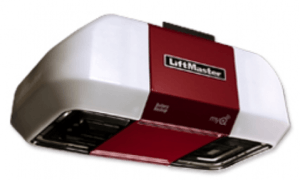 Security+ 2.0™ is a Liftmaster security garage door opener feature that sends a new code with every click to the door opener, so the door opens only for you. The Protector System projects a light beam across the garage door opening preventing it from closing if anything interrupts it. P3™ motor, specifically designed for garage door opener use, provides proven reliability and durability.